April is Sexually Transmitted Infection (STI) Awareness Month! April is Sexually Transmitted Infection (STI) Awareness Month! 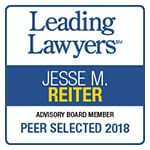 April 13, 2016 /0 Comments/in Birth Injury /by Reiter & Walsh, P.C. Each year, the United States Center for Disease Control (CDC) hosts STD Awareness Month. The birth injury attorneys at Reiter & Walsh would like to spread awareness of sexually transmitted infections as a part of the effort to help people get tested and talk about these infections, as they can pose a direct threat to newborn babies if left untreated or undetected. Alarming evidence is showing that the rate of certain infections is significantly increasing in the United States. These infections include chlamydia, gonorrhea and syphilis. Other infections, such as human papillomavirus (HPV), herpes simplex virus (HSV) and trichomoniasis, are not regularly reported to the CDC, and so they are not counted in these statistics. This means that CDC reports only take into account a very small portion of total sexually transmitted infections. That said, the CDC’s data indicate that nearly 20 million new STIs occur yearly in the United States. Of these cases, the CDC found that chlamydia cases rose 2.8% to total at 1.4 million cases over a single year (from 2013 to 2014). Gonorrhea cases increased 5.1% while syphilis increased an alarming 15%. This is the first time since 2006 where all three diseases have had their incidence rates increase together. Although the CDC’s general statistics are already serious cause for concern, additional data is even more alarming. Congenital syphilis infection (infections that newborns contract from their mothers) rose 27.5% between 2013 and 2014. Congenital infections have severe and debilitating consequences for neonates, and the impact is especially tragic as screenings (which are recommended as part of routine prenatal care) can help physicians catch the infection early. When they do, they can treat mothers with antibiotics to remove the infection and minimize the risk to the baby. When left untreated, however, these intrauterine infections can pass to the child and increase the risk of preterm birth and low birth weight, which come with their own attendant health issues. Fortunately, sexually transmitted infections are preventable. The first step is to get tested. This is important for everyone, but especially for new mothers, who should be attending regular prenatal care appointments. Speak with your doctor about any concerns you may have or if you are worried about possible infection or exposure. It is a physician’s job to screen you for common infections you could pass to your child. If a physician fails to do so, this may be an instance of medical negligence. It is also important to note that preventable diseases can sometimes cause birth injuries. Some infections might not present signs, but can still be detected using seroscreening, Some high-risk populations may benefit from asking about seroscreening. If mothers have an active infection during their pregnancy, physicians may prescribe prophylactic treatments to suppress the infection. There are also guidelines for the type of delivery a mother should undergo, depending on whether or not she has visible lesions in the genital area. Find more information here. Because herpes simplex virus (HSV) can cause encephalitis (severe brain infection), death or severe, permanent brain damage in neonates, it is of paramount importance that physicians properly screen and treat mothers who are at risk for infections. They must also properly treat newborns who they suspect or confirm have infections. There are specific labor and delivery procedures (such as C-sections) that can help lower infection risk in the baby. If a doctor doesn’t properly test or treat the mother or infant or doesn’t follow the proper standards of care for birth and delivery, this is medical negligence. If a new mother passes on an infection to her child because of this negligence, and this causes harm to the baby, this is medical malpractice, which means that parents may be able to take legal action through a birth injury attorney. 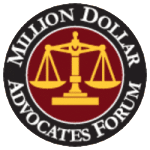 If you suspect that your child has disabilities, cerebral palsy, or another brain injury due to a mishandled maternal infection or an untreated or undiagnosed neonatal infection, you may have the ability to seek relief under the law. 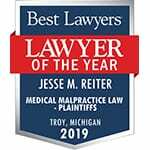 The birth injury attorneys at Reiter & Walsh, P.C. can perform a free case evaluation to determine if a doctor’s mishandling of an infection during pregnancy, labor and delivery contributed to your child’s birth injuries. Please call the law offices of Reiter & Walsh, P.C. now at 888-419-2229, use our contact form or hit the Live Chat button to the left side of this screen to contact us. We are available 24/7 to speak with you, and we would be happy to assist you with your legal questions.